The Concept- I really liked the concept of this book. As far as I can remember I have never read a book based solely on Cinderella's slippers, so that was certainly fresh and unique. Ron- I loved Jo's brother throughout the majority of the book. He was sweet, kind and caring and encapsulated everything Jo wasn't. Locke- I liked his character and his story arc. While he wants to help Jo in her travels he also realizes that she is stubborn and could very well not accomplish her task because of this. I felt his frustration because that is how I felt as well. Jo- I really didn't like her character. I spent more time being irritated at her behavior than enjoying the story itself. Jo was stubborn,pig headed and just downright rude at times. Even at the end when all was revealed I still felt a lack of joy from her character. The Pacing- This book was only 300 pages but because of the horrible pacing felt like it took an eternity. I feel most of the beginning of the book could be cut and it still probably wouldn't help. While some scenes did work many just felt long winded like the Author didn't quite know how to fill the page. While I did enjoy this book, I was definitely left frazzled and frustrated by the end. Jo's attitude and the pacing of the story really brought this book down for me. I certainly commend the Author for creating such a unique take on a very beloved story, that just wasn't enough to over power the negatives in this book. It's a real shame. Overall if you have some time, pick this book up and give it a go. I am only one opinion and you might not feel the same way as I did. 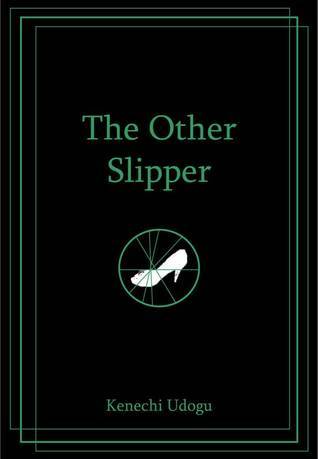 Therefore, I am rating The Other Slipper by Kenechi Udogu ★★★. This is the first time I hear about this book. You're right the premise is intriguing, but I think I'd be as irritated with Jo and her pig-headedness lol. Great review, muffin! Yeah it's definitely harder connecting with a book when your not feeling the main character.